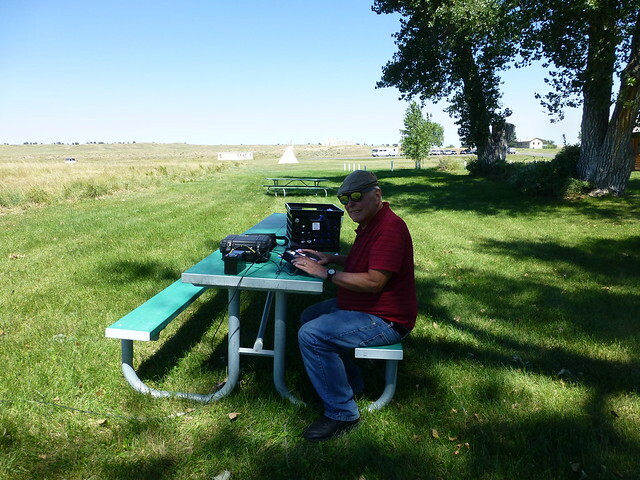 If any ham radio operators read this, are interested in the NPOTA contest and are looking for a great place to activate, I can recommend the Fort Laramie National Historic Site, NS-20. 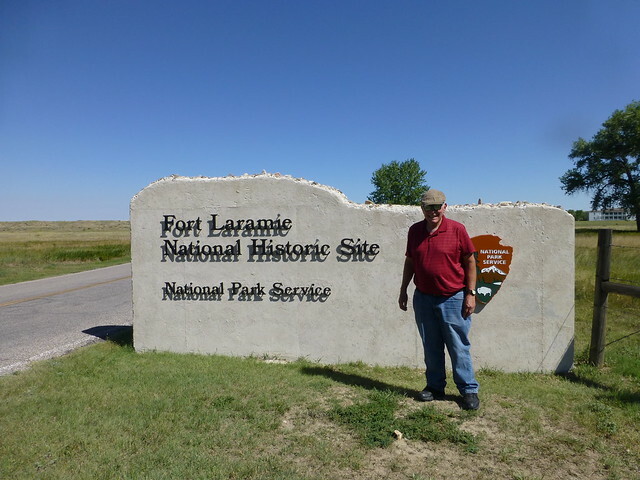 It’s located about 2 hours north of Cheyenne, is in a beautiful location, is quite interesting with several restored buildings, has some very helpful rangers and reenactors. And if they aren’t occupied, you can operate out of a tepee. There has been a fort there since 1834, and according to the rangers, every pioneer who traveled west stopped there, so if you set up in the shaded picnic area (or in the tepee) you’re bound to be on the spot where hundreds of covered wagons passed 150 years ago. There aren’t any places to camp on the site, and the nearest motel is about 25 miles away, but it would be worth spending an entire day there. With four trails + a National Historic Site + Wyoming, anyone who sets up there is sure to make lots of contacts, and every one of them will be happy when the log is uploaded. I only had a brief time yesterday to activate the site, and only got 18 contacts on 20M CW, and wish I could have stayed several hours longer. The best part is that admission is free! 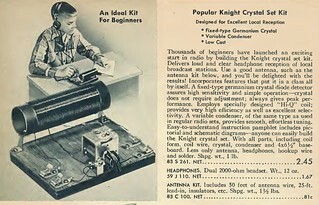 My dad bought me a Knight Kit crystal radio for my tenth birthday. I assembled it myself, without help, in a weekend. Probably the most tedious part of the job was winding the huge coil on what looked like a thick toilet paper roll. I then had to lacquer it, and waiting for the lacquer to dry was the worst part. 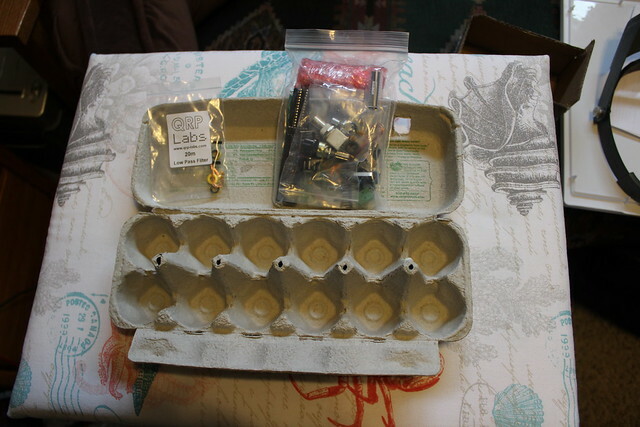 Like all crystal radios, this one operated without batteries and had a minimum of parts. Luckily, we lived in Chicago at the time, and there were several very strong (50,000 watt) AM radio stations with nearby transmitters, so it worked really well. The reception quality was good, with none of the annoying hum that came from a standard AC operated radio. Furthermore, there were no telltale pilot lights to alert my sister or parents that I was listening to “Yours Truly, Johnny Dollar” or “Dragnet” or “Philip Marlowe” or “Sherlock Holmes” or any other great old time radio detectives well past my bedtime. I love Linux, not only because it makes sense, but because the programs available for ham radio are in many cases superior to the Windows equivalents. 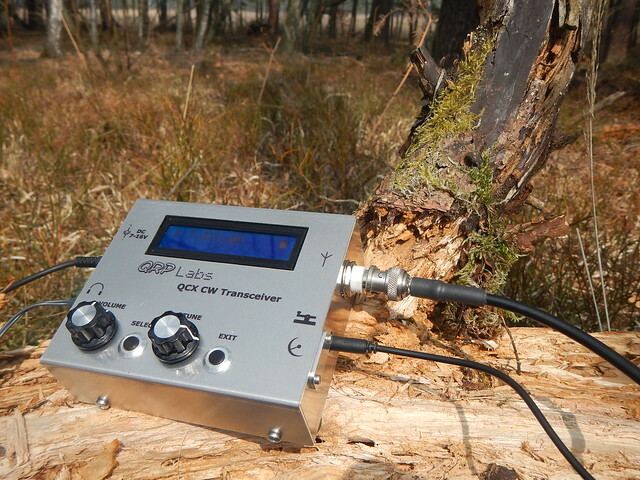 CQRLOG is one of them, and fldigi is another one that works well with my small laptop and Elecraft KX3. It took me a while to get them both working right, and here’s a couple of tips so that others may not have to reinvent the wheel. I’m running Ubuntu 12.04 on a small laptop. In the fldigi preferences menu, under rig control, click on “Hamlib” and click the small box that says “Use Hamlib.” Select the K3/KX3 from the drop down box, and the device “/dev/ttyUSB0”, 4800 baud and two stopbits. Leave the other defaults. If you click on “initialize” and see your transmit frequency in the main box, then celebrate and ignore the rest of this post. When you set up the CQRLOG TRX Control parameters, enter your rig name under “Radio one, desc:,” use Rig ID model 229 (which is the one for the K3, but it works), click the “run rigctld when program starts” box, and specify only the serial speed of 4800 and 2 stop bits. Leave the rest default. But it probably won’t work, because when you plug the serial port adapter into your Linux machine, the computer may recognize it but will prevent you from accessing it because you don’t have permission to do so. That’s because you don’t belong to the proper group. Part of Linux security. There’s a command you can enter every time you boot up, but that’s a pain and easy to forget. Here’s a step by step guide to making it work permanently. 2. Open a terminal window in Linux by pressing CTL-ALT-T. You’ll get a prompt which consists of your username, the computer you are running on and a dollar sign. Mine is “steve@steve-Latitude-D420:~$” From this prompt, enter the following commands. Case is important. You’ll get a list of perhaps 50 various devices; the last one is your adapter, and should be ttyUSB0 or ttyUSB1. If you don’t see it, you are in trouble and may have to install the proper drivers. I didn’t have that issue, but if you do, remember that Google Is Your Friend. The output will show you what permissions have been granted, and to which user groups. Mine shows that members of two groups can access ttyUSB0: root and dialout. You don’t want to become a member of the “root” group because that would compromise security. You’ll probably see a long list of groups, but “dialout” isn’t one of them. 7. Log out and log back in, or reboot. No doubt, there are easier ways to do some of these steps, but this worked for me. Good luck.